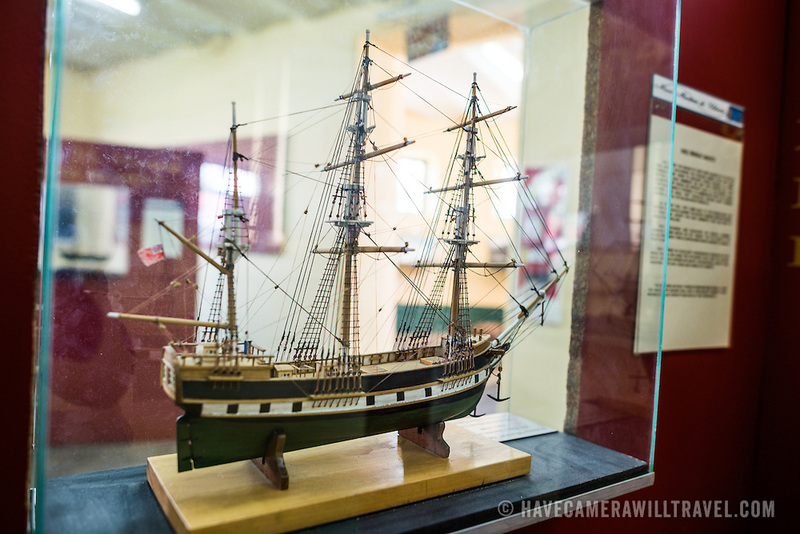 A scale model of the Beagle. The ship undertook exploration expeditions in the region, one of which involved Charles Darwin's famous visit to the Galapagas Islands. The ship also gives its name to the Beagle Channel that connect Ushuaia with the Great Southern Ocean and Antarctica.